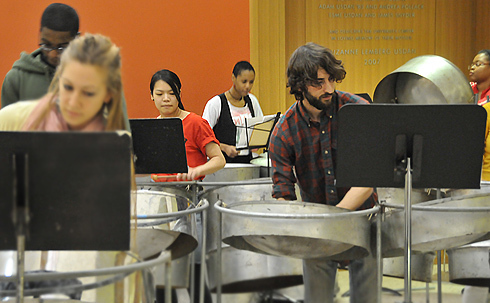 Brandi Cahill, assistant director of the Office of University Events, performs on steel drums during the "Pannin' the Night Away: Steel Band Live" fall semester concert. The Wesleyan staff band opened with "Under the Sea." 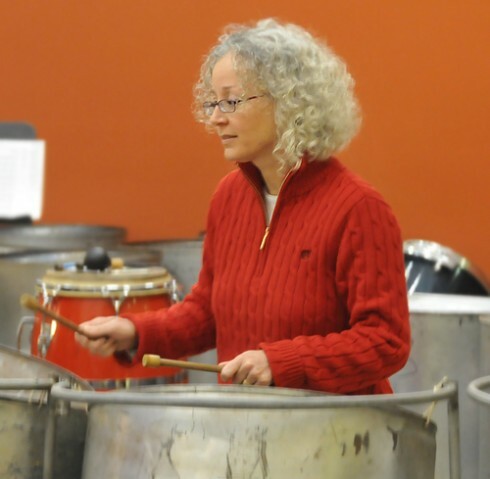 Cheryl-Ann Hagner, director of the Office of University Events and Scheduling, performs on a steel drum with the staff band. Other staff performers included Lisa Calhoun, Camille Dolansky, Susanne Javorski, Mariah Reisner, Beth Labriola, Brian Nangle and Karen Nichols. 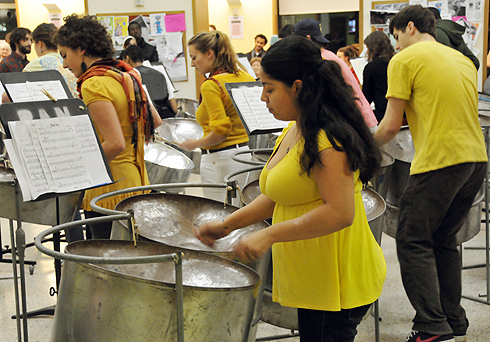 Student performers are enrolled in the MUSC course Steel Band. 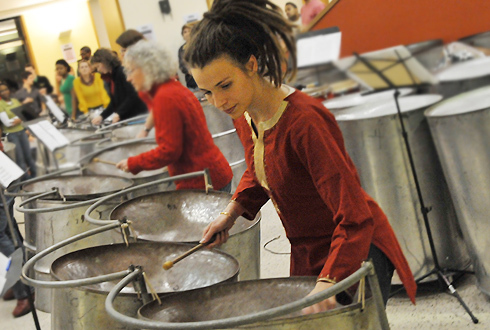 The course teaches students primarily to perform, but also to discuss and analyze this specific music. 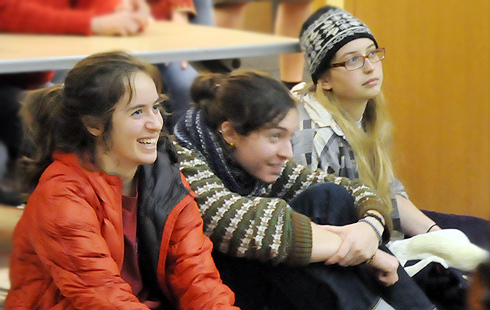 Wesleyan students watch their peers perform on the steel drums.